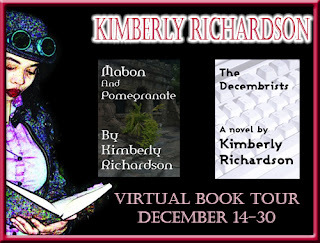 Kimberly Richardson's The Decembrists is a Gothic tale in the contemporary tradition (or spirit, if you'll pardon the pun) of Anne Rice's Mayfair Witches and Clive Barker's Galilee. The former had the potential for a fascinating story, but buried it deep within a tedious romance, while the latter was a gorgeous tale of magic and mystery. Richardson falls somewhere in the middle. I'm not sure what it is about Gothic romances, but it seems as if there's a long-standing tradition of weak, flawed, distasteful characters that is carried through here. Sophie has the potential to be an interesting character, an independent, intelligent woman about to make her mark in the publishing world. If only she could have resisted the urge to dabble in a little celebrity hero-worship. Her relationship with Hilliard starts out well, an interracial romance that crosses lines of both age and class. He's a man who becomes more and more unlikable as the story moves on, however, ultimately revealing himself to be an arrogant, emotionally abusive elitist who exists solely to serve his own purposes. This is largely a character study, a work of ideals, but it also has a intricate, long-gestating plot to carry it along. 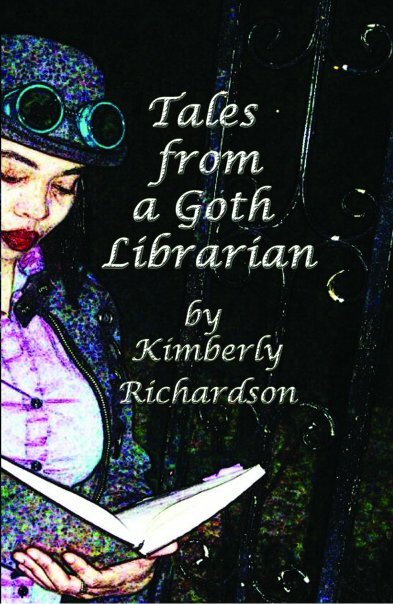 The plot depends upon three significant developments that serve to twist the tale, the first of which puts a melancholy spin on the darkness, the second of which adds just a hint of the supernatural, and the third of which brings the first two together. There's an entirely distasteful family secret at the heart of it all, a mystery wrapped in odd behaviour, impossibly lucid dreams, and suicidal urges. Ultimately, it's a story that could benefit from some editing early on, as the lead-up to the first twist takes far too much time to achieve any sort of significance. While I understand why the story had to end the way it did, that didn't make it any more satisfying. Sophie had the opportunity to redeem herself, to free herself from the elitist world in which she became trapped, but that opportunity is wasted. Despite all that, it's a story well-told, with some intricately crafted passages that approach the level of being poetic. It's likely a story that will appeal more to those whom identify (or at least sympathize) with Hilliard, but still offers something interesting and beautiful for those of us who are proudly to objects of his scorn . . . or disregard.